Home Uncategorized Your Opinions or A Proven System? Your Opinions or A Proven System? Discretionary Traders trade information flow, while Systematic Traders trade price flow. While discretionary traders are busy trying to digest what fundamental news and information mean, systematic traders are taking the signals they are getting from actual price movement in the market. Systematic traders are not thinking and predicting what the market is going to do, they are reacting to what the majority is doing based on their predetermined system’s entry signals. Discretionary Traders are trying to anticipate what the market will do. Systematic Traders are participating in what the market is doing. Discretionary Traders are subjective, they read their own opinions and past experiences into the current market action. Systematic Traders are objective, they have no opinion about the market, they are following what the market is actually doing and following that trend. Discretionary Traders trade what they want and have loose rules to govern their trading. Systematic Traders have few but very strict and defined rules to govern their entries and exits, risk management, and position size. Discretionary Traders are usually very emotional in their trading and taking their losses personally because their opinion was wrong and their ego is hurt. Systematic Traders are unemotional because when they lose it is simply that the market was not conducive to their system, they know that they will win over the long term. 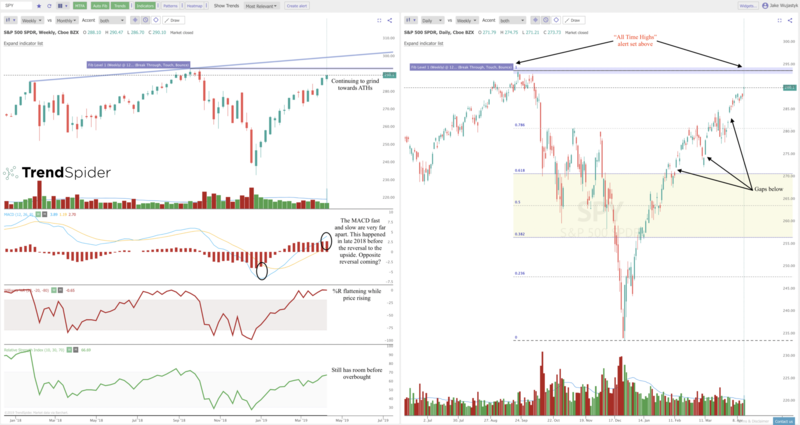 Discretionary Traders use many different indicators to trade at different times, sometimes macro economic indicators, sometimes chart patterns, sometimes news. Systematic traders always use the exact same technical indicators for their entries and exits, they never change them. Discretionary Traders generally have a very small watch list of stocks and markets to trade based most of the time on their expertise of the markets they trade. Systematic Traders trade many markets and are trading their technical system based on prices and trends so they do not need to be an expert on the fundamentals. For the average trader being a 100% Mechanical System Trader usually maximizes the chance of success in the markets. If you are using a historically proven profitable system. If you are removing your emotions and ego out of your trading. If you are controlling your risk of ruin with proper trade size and stop losses. Then you have the probability on your side of joining the consistently profitable traders in the market. When at first you don’t succeed….